Or something about channeling rage into something useful. It’s 2AM and I’m exhausted and philosophy was never my strong suit. I’m just here to point you in the direction of a new shiny thing. I’ve launched a website to detail my adventures in kitten fostering. Stuff and things happened after Bee died and I fell into a YouTube hole after someone posted one of Hannah Shaw’s videos on Twitter. One thing led to another, and less than a year after Bee’s passing, I became an official foster parent for our local animal shelter, specializing in neonatal and orphaned kittens as Hannah does. I’d bottle-raised two of my own kittens, and even though it’s been years, I still remembered how. Hannah’s videos provided an excellent refresher course and taught me a few new tips and tricks that weren’t around when I hand-raised two of my horde. Here again is another step I’ve taken towards making this fostering thing a part of my life – I have a website and social networks in which to post kitten pictures and videos of the litters that come into Bee’s House. Kitten season is approaching and I’m gearing up to take in a few. Yes, I’m still writing between bottle-feedings. This blog won’t be any more neglected than it usually is. I just have another one to neglect now. Head on over and take a peek at what’s there if you want. There’s not much at the moment as I’m still getting things settled, but you can get the gist from what content I’ve managed to sort. I have lots of pictures and videos to upload once I get them organized. We’ve fostered three litters since becoming official/certified with the shelter in September, and there are many pictures across multiple devices. 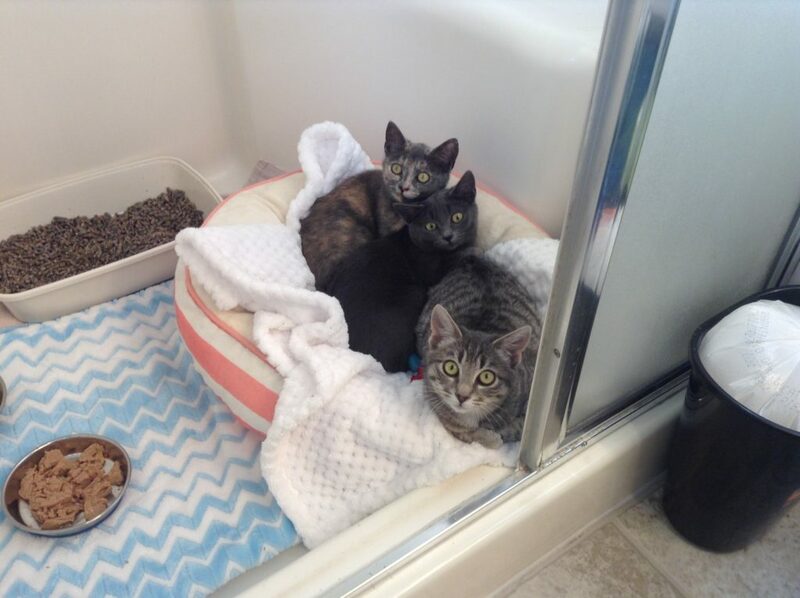 Foster kittens in my loo! So yes. 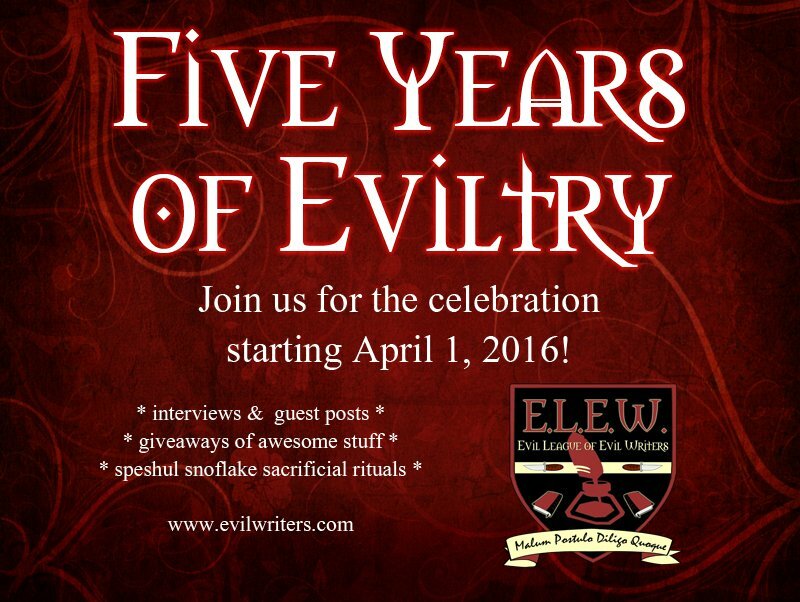 April 1 is by far the most evil day of the year, but it being the anniversary of the Evil League of Evil Writers was (almost) entirely coincidental. 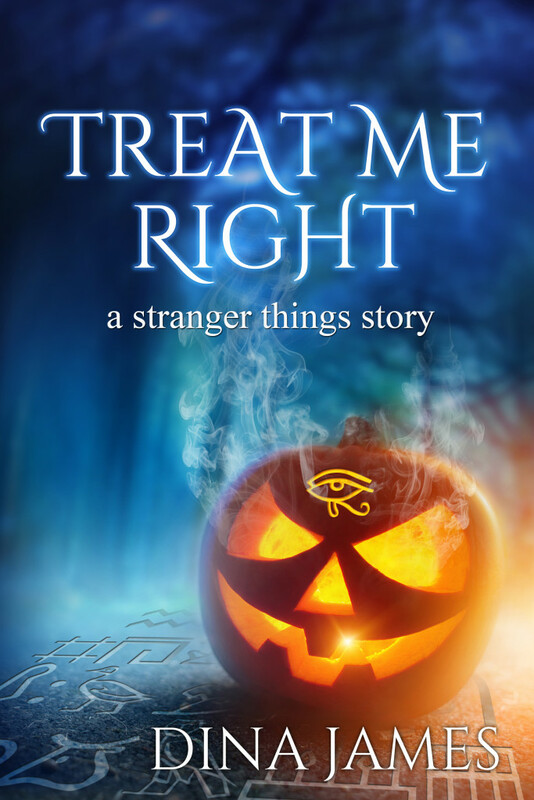 April just happened to be the closest upcoming month back when we were going public with the Evil League of Evil Writers, and what better day to celebrate eviltry than the day of trickery itself? I realize this does come with the side effect of our celebratory posts being sometimes taken as April Fool’s pranks, but that’s not our problem. Evil does not care if you believe in it or not. Speaking of giveaways, five years is a big deal, and we’re celebrating in style. There are fantastic gift packages with all sorts of shinies in them, including some things that are specific to giveaways. That is, you won’t see them anywhere for sale – the only way to get them is to win them. Books! Gift cards! More books! Click on the pic to see what’s up for grabs and enter!